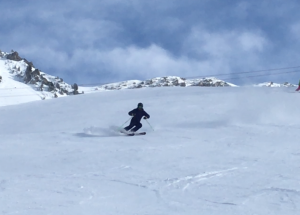 AlpineMojo are once again providing ski instructor courses in Switzerland! 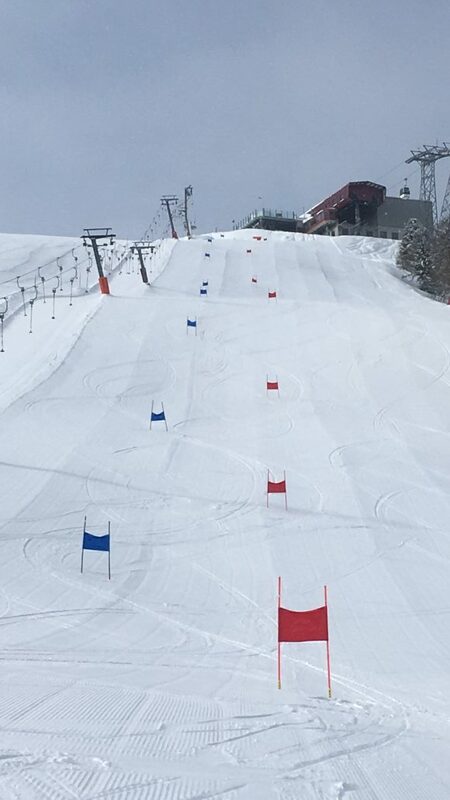 Our Level 3/ Level 4 ski instructor training course is aimed at instructors wishing to improve their technical skiing. For those who are aiming for exams, to understand and work towards CASI/IASI/BASI criteria in bumps, variables and piste performance. We want to deliver a high quality and successful courses, so we set our coach to trainee ratio at 1:6. With such small numbers, we can truly advertise individualised training programmes, so that each trainee has the best possible chance to achieve their skiing goals. The price includes 180 hours of coaching, mentor support, progress reports, video analysis, fitness, ski tuning clinics and race training. The small and friendly AlpineMojo team are an invaluable network of experienced instructors from which to ask advice and learn. Finally, impress us with your work ethic and attitude and we will offer you the chance to work for Alpinemojo in Verbier and Nendaz. See Testimonials from the 2017/18 course here. 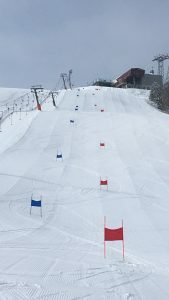 We offer Individual Training weeks for instructors who are unable to commit to a season long course, so that they have the flexibility to join training where their schedule allows. 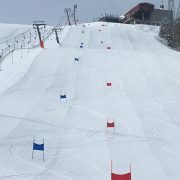 We provide 30 hours of on slope training, video analysis, as well as mentoring support for the week. 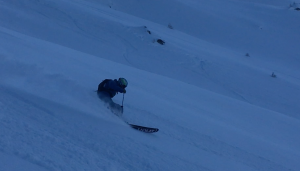 Off the snow, ski tuning or fitness is offered, although this is dependent on which week is attended. Our Exam Preparation week of 30 hours is designed to make minor tactical tweaks and consolidate any previous training prior to exam weeks to fall in line with criteria for exams (BASI/CASI/IASI). We cover all strands of Variables, i.e. Moguls/Bumps, and on-piste performance (longs and shorts). Anyone, young or old, intrigued or determined, is welcome to participate in AlpineMojo’s Eurotest training. 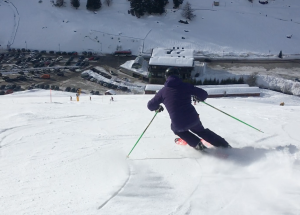 3 days Giant Slalom (GS) training on the Nendaz Stade, and coached by former British Team member Sega Fairweather. Adapting the training to your needs, Sega makes race training fun, whilst offering important insights into the tactics and psychology of racing. If you are interested in any of AlpineMojo’s instructor courses, or would like any more information, please email alpinemojotraining@gmail.com. We look forward to hearing from you! Thank you for a wonderful season from the Alpinemojo ski school New Logo!